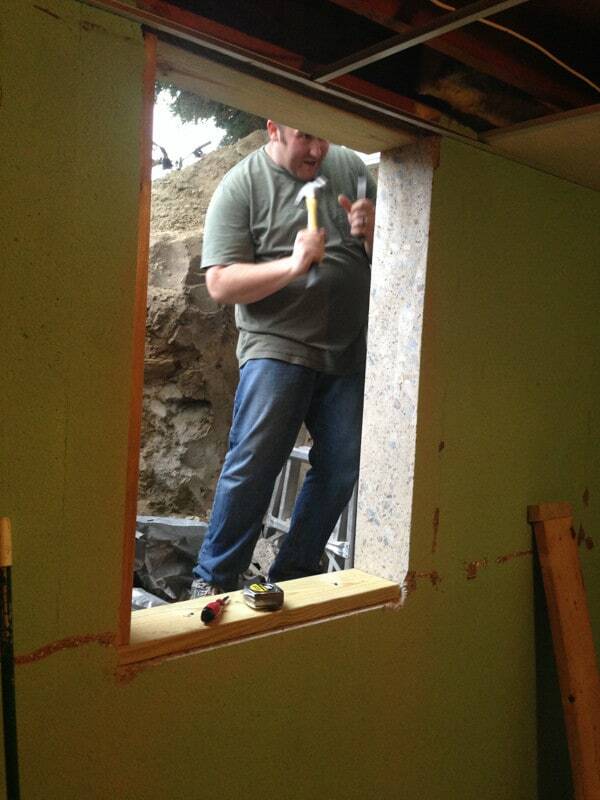 Installing an Egress Window in our Luxurious Basement Dwelling! Since moving into our Retro Ranch Reno we’ve been VERY busy. I already shared our main floor tour, and pictures of some progress. 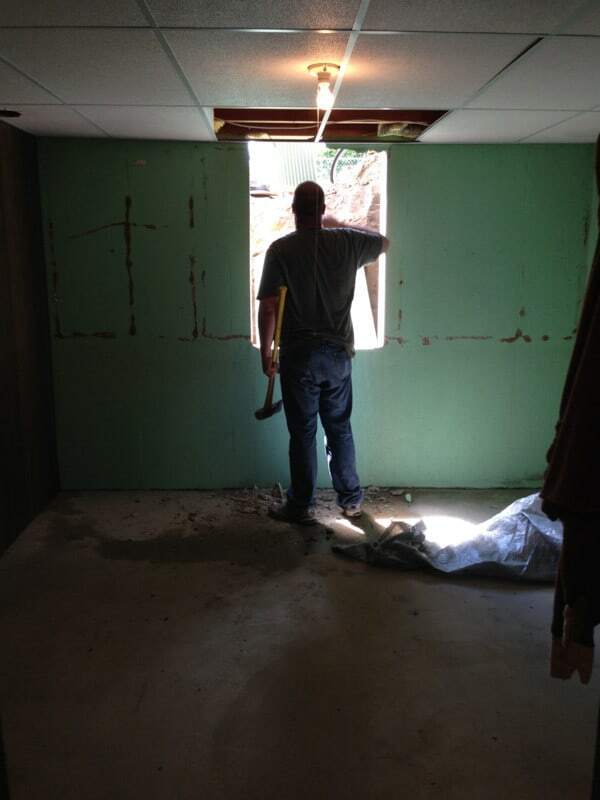 Today I’m sharing our progress with installing an egress window. 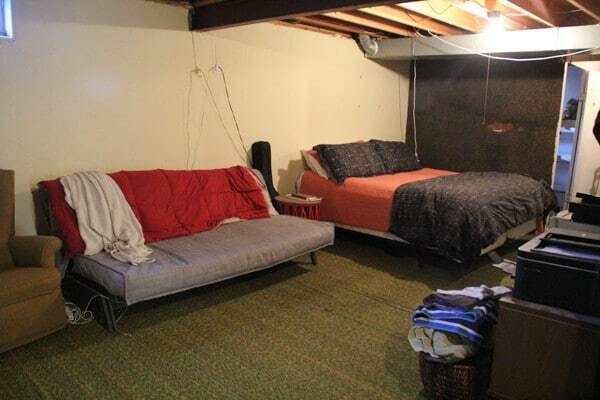 As a bonus I’m sharing pics of our luxurious basement dwelling. OK… I’m kidding. It’s FAR from luxurious, but it’s not fair to only share the exciting and beautiful. Today I’m sharing the ugly real life that is living in a retro basement. Since we are living in the basement while we renovate the main level I didn’t feel comfortable knowing that if there was an emergency we didn’t have another path out. Because of that, putting in an egress window was on the top of our priority list. Thankfully my dad was willing to pitch in and dug the entire exterior hole! The window had to be 3′ x 4′ to meet all of our code requirements, and the hole had to be a foot wider and deeper than the window. This meant it was a HUGE hole. 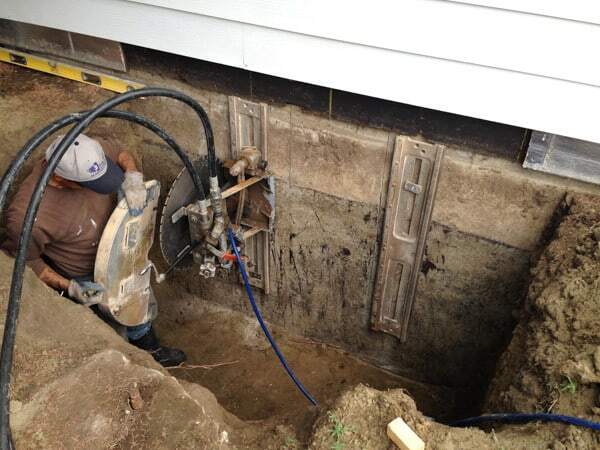 Once our hole was dug we planned on cutting the opening ourselves. After borrowing a friends cement saw our efforts lasted about 15 minutes. That’s when we realized we were going to kill ourselves before cutting through the concrete wall. Thankfully our neighbor knew a guy who specialized in cutting concrete. Just two days later we had this guy here with his fancy saw cutting our opening. It took him about 2 hours to set up and about 20 minutes to cut the hole. After watching him work we were SO happy that we hired it out! Once the slab was cut Matt had to knock it out, and then break up the slab and haul it out of the hole. It was SO heavy that it took about 2 hours of pounding for the slab to be broken up enough to haul out. After we had our opening we framed it out with treated 2×8’s that we screwed into the concrete. 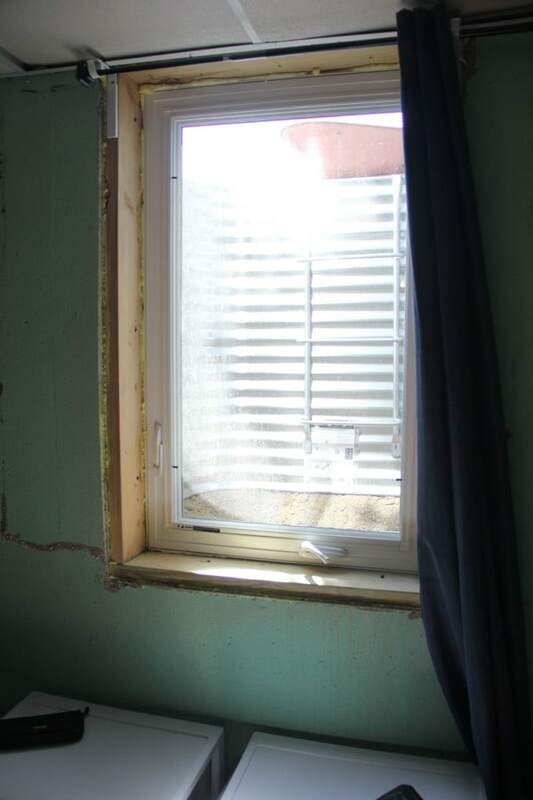 Installing and insulating the window was the easiest part of the whole process! We just added exterior window wrap and caulk and then nailed it in place. Then we sealed it off with foam insulation. I didn’t get any pictures but my dad secured the metal well in place by drilling it into the concrete wall. 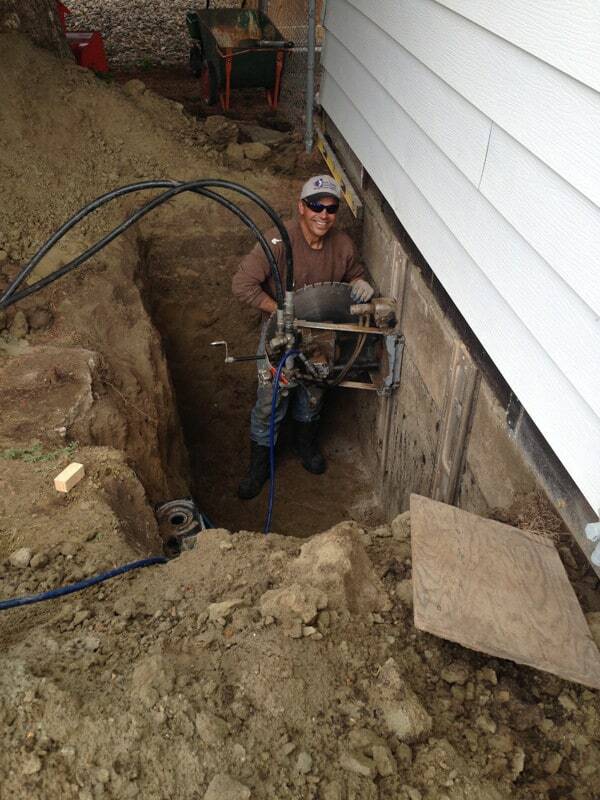 Because the hole is more than four feet deep we had to add a ladder to the well to be up to code. We still need to add some drainage rock to the bottom and even out the dirt around the outside. The finished pictures is far from Pinterest-worthy, but we are super thankful to have a safe exit from our basement now. 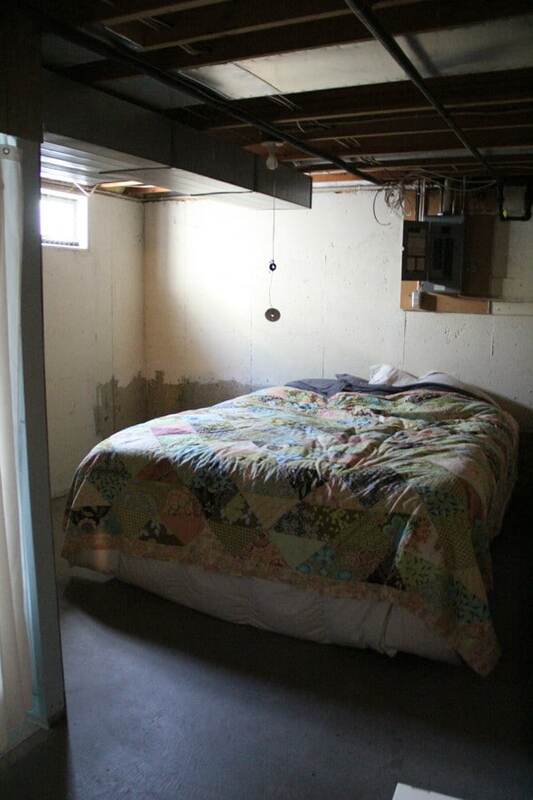 It also adds a lot of value because now this bedroom is “legal” adding an entire bedroom to our home. I guess this makes for a good segway into the rest of the house tour! 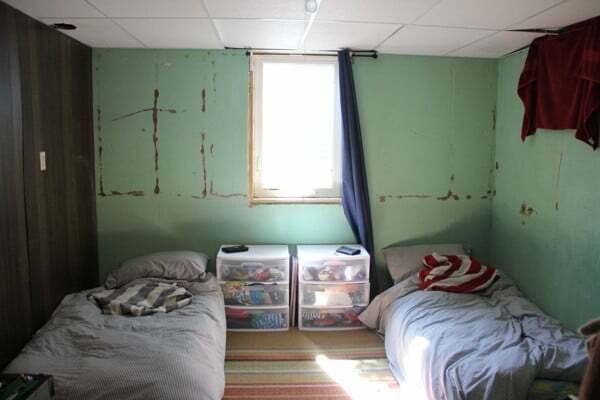 This is the boy’s room that got the egress window. I told you it’s far from glamourous, but it’s working out great. 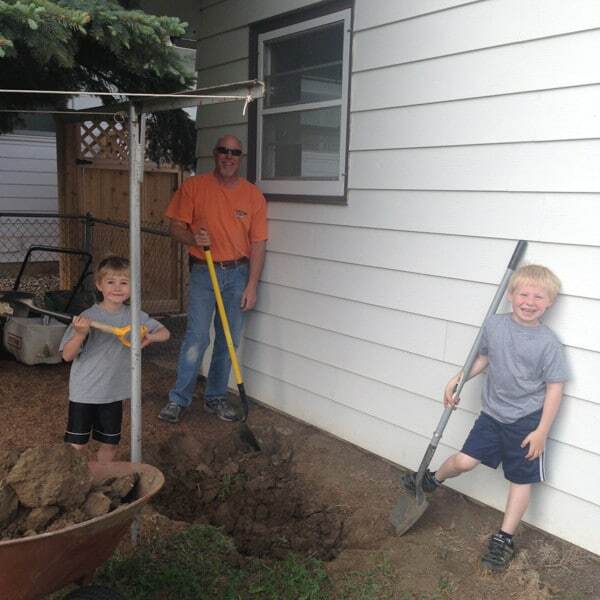 It is far better than living with friends or in a rental, because I am able to work on the house while the boys sleep. It also didn’t involve an extra move! Here you have our fancy living room/master bedroom suite. It’s so fancy that we can pull the chain to turn off the light right from our bed! 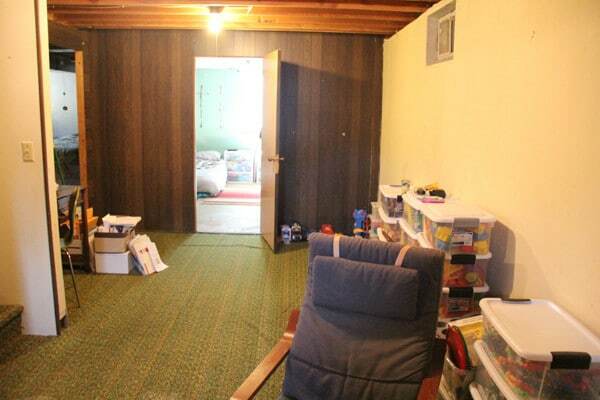 Over to the other side of the basement is the playroom/office. So inspiring! In our basement dwelling we even have a “guest room”! Yes, even my dad has light he can pull from his bed! We haven’t been able to convince my mom to come and stay yet! Who wouldn’t love sleeping under the ducting and electrical box?! 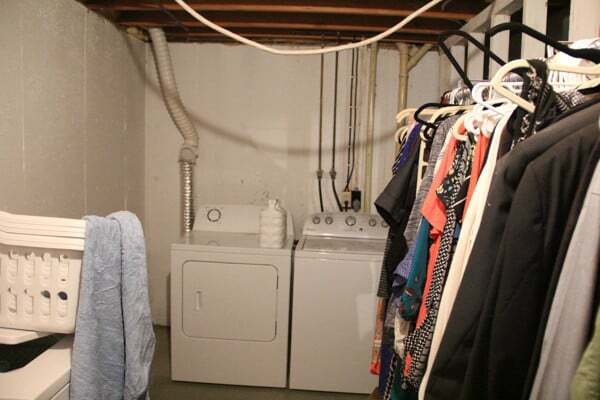 Here is the laundry room/walk in master closet. It’s ironic but it’s the biggest “closet” I’ve ever had! 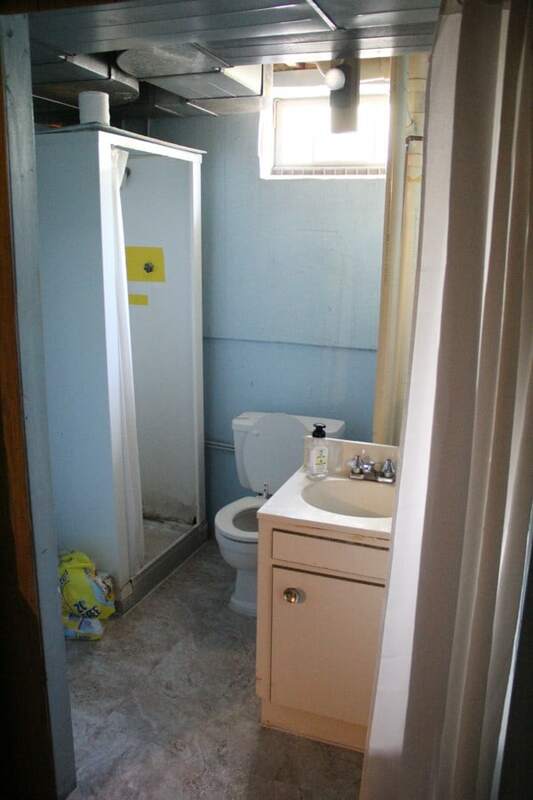 I’ve saved the best for last… our basement bathroom. The shower has lots of duct tape on it and leaks all over the basement floor. The vanity is smack in the middle of the bathroom. We also have a shower curtain as a door. So very private. Obviously the basement is far from ideal, but also far better than millions of people in the world live! It pushes me to make a little bit of progress on the upstairs daily! Hopefully we’re not too far away from being able to move up there soon! We’re thinking of doing a window in our basement and trying to look for ways to cut a little cost here and there. 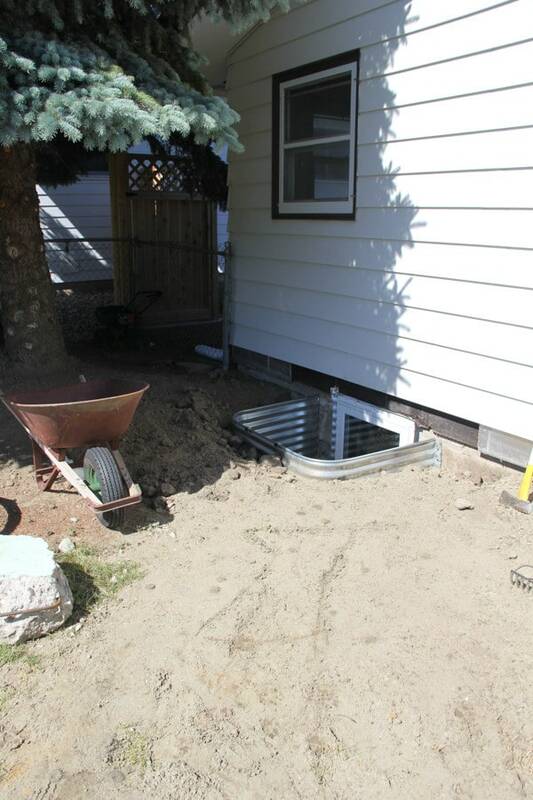 A contractor says about $3000 to put in an egress window. What do you think you paid when it was a said and done? Honestly I don’t think that is a bad deal! We paid $900 to have the opening cut. 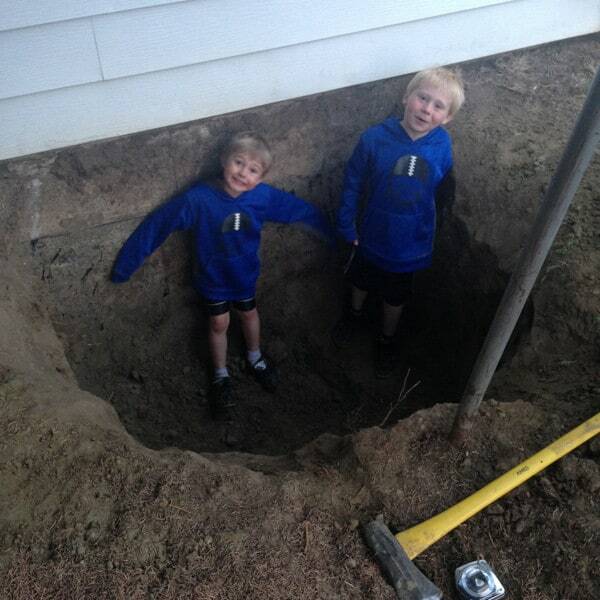 We dug the hole ourselves but that was backbreaking. 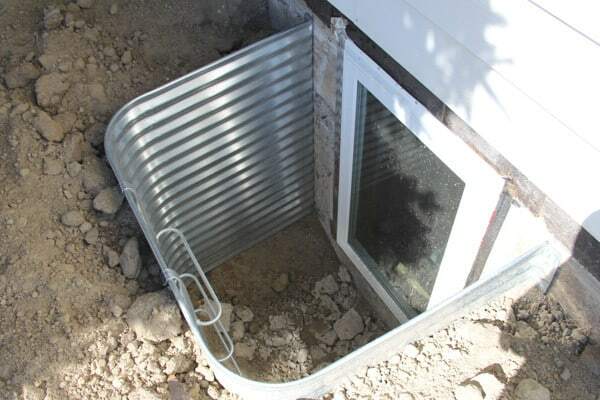 The window well, ladder, and cover was around $500 and the window was around $300. So that’s about $1700… add on additional lumber, flashing, screws, nails, and drill bits and I’d like to say we were close to $2000. In the end it depends on how you feel about digging the hole! Good luck to you! Where did you find the window well and ladder? I’ve looked at the local box stores and they don’t carry any corrugated metal types at all. Thanks!